New card below. 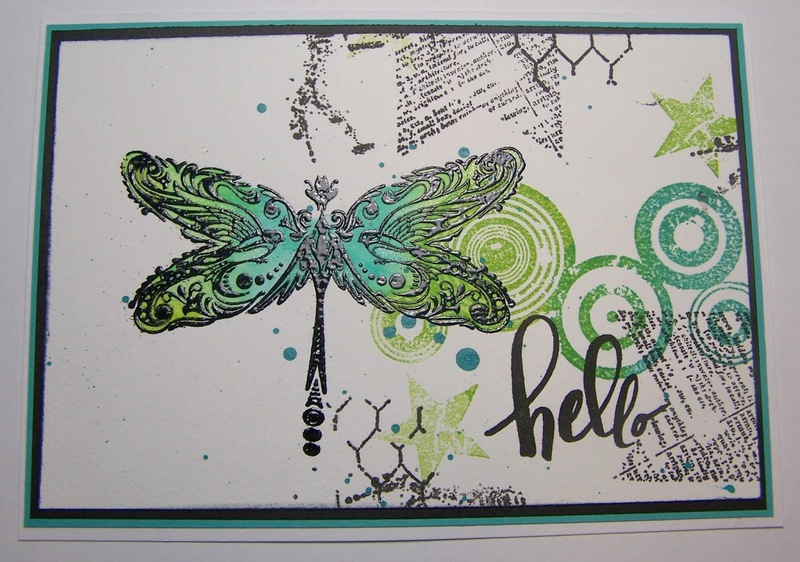 Used several smaller stamps to create an abstract background on this card and then embossed a dragonfly image for the focal point. The dragonfly was colored using watercolors. I then mounted the focal panel onto black and teal card stock, this all was then adhered to a white A6 sized card. This was a fun way to use a variety of stamps from several stamp sets to create a card that completely coordinates in the end. Don’t be afraid to mix and match stamp sets and styles, you will open up a whole new arena of opportunities when you do! Previous postWeekend – Can’t wait.